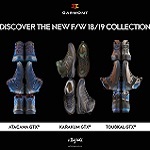 The new G-Radikal GTX® boot is an outstanding new product on the outdoor market thanks to the combination of cutting-edge materials with innovative ergonomic and construction solutions. 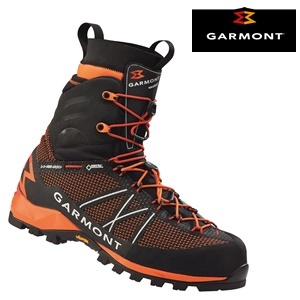 Semi-crampon-compatible, ultra-performing and lightweight, this boot is the ideal choice for mountain guides and fast climbers. The erGo-last, combined with the Double Damper technology, offers a truly ergonomic fit. The upper in Lenzi Putek fabric offers top-level performances in terms of abrasion resistance, ruggedness, lightness and flexibility. The revolutionary G-Wrap technology is a fastening system which acts between the upper and lining in the area of the forefoot, wrapping the foot like a second skin for a fit never experienced previously. The double lacing system on the upper instead allows a differentiation in the tightness of the laces between forefoot and cuff, so as to be able to loosen or tighten the G-Wrap according to the activity, without modifying the tightness of the cuff. The innovative Foot-Sleeve padding in stretch 3D mesh has been brought into contact with the foot itself rather than between upper and lining as in a classic construction. This padding, which can be removed and washed for greater hygiene, wraps the foot all around and creates an air space between lining and foot, for better aeration and less sweat inside the boot. The removal of the padding from the upper part means a quick dry effect: less water absorption and reduction of bacteria’s formation.